This is our best selling, Grateful Dead-inspired Ramble on Rose design, now offered on heathered sport gray UNISEX TANKS with black trim. 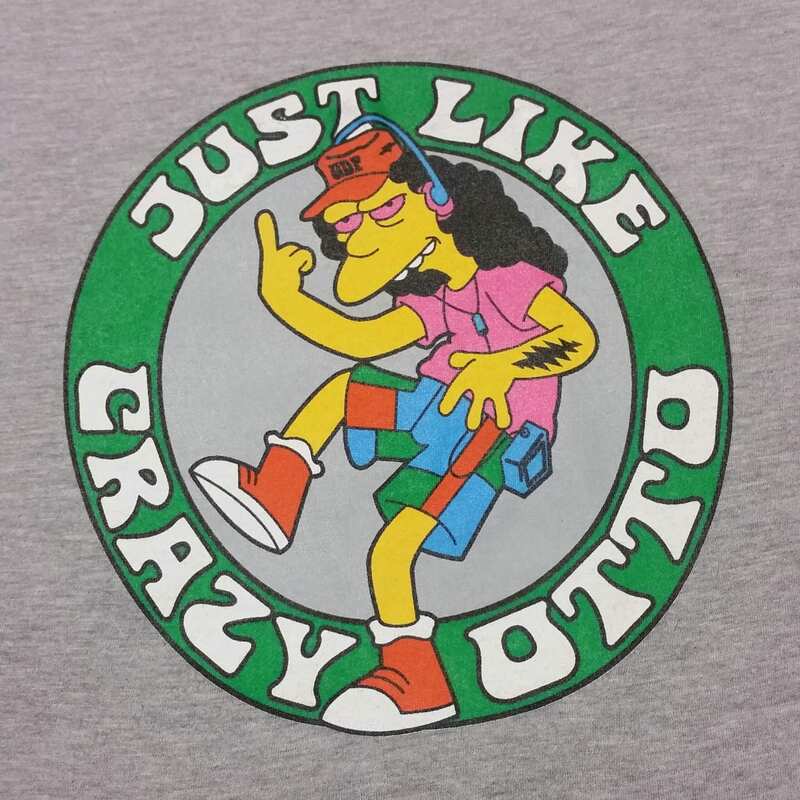 “Crazy Otto,” the stoner from everyone’s favorite cartoon, is re imagined as a patchworked Deadhead, with his finger in the air looking for a miracle! 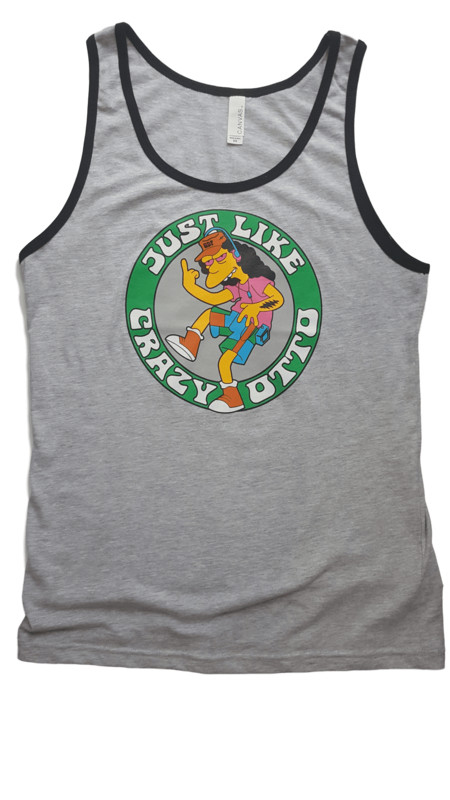 This unisex tank is currently available in all sizes XS – 2XL. See additional photos for detail.